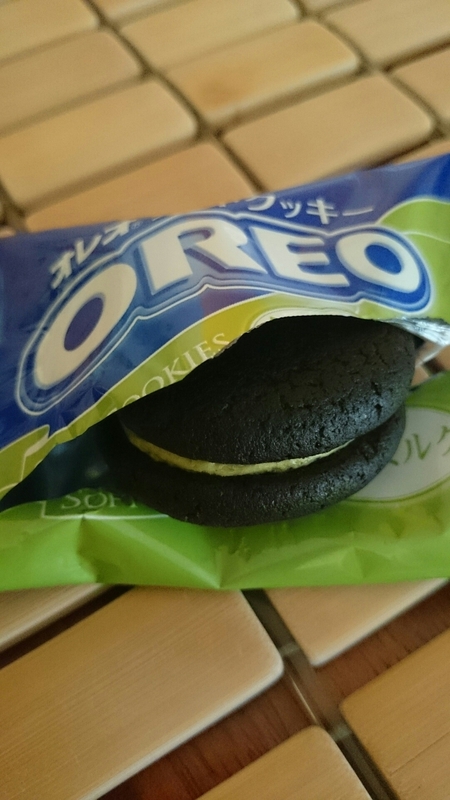 …This soft green tea Oreo. I would have to say it is my all time favorite! The cookie is so moist and does not have the sweetness (which to my taste is too sweet) of the filling of the original Oreo filling. The filling inside is very smooth and definitely gives you the green tea fix flavor you may be craving. The actual outside of the cookie has a good flavor to it as well. I would say it is the same flavor as the original Oreo, but in soft cookie form. The combination of the two are very well balanced and will keep you coming back for more…until the bag is finished. A little side note on the packaging, they come in a big bag of 10 and are individually packaged. As for availability, I have only been able to get them at a local Japanese market, Marukai. If you can get a hold of them, try it, them go grab as many bags as you can!